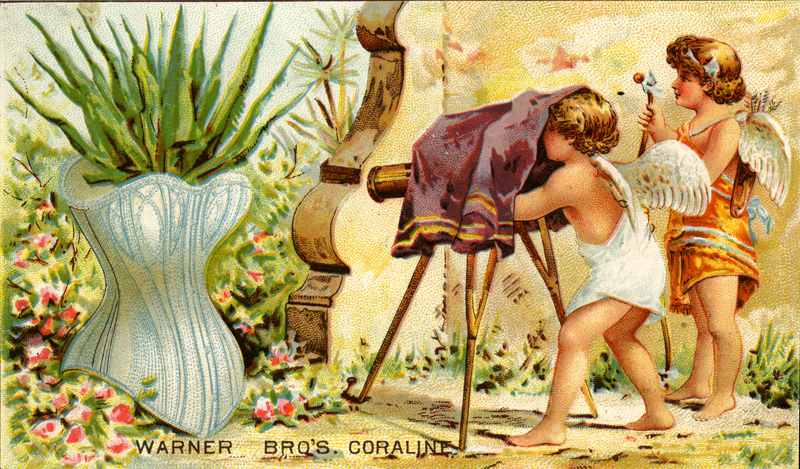 Trade card distributed by H. B. Edwards & Co., an Amherst clothing store that operated in Merchants' Row from the 1880's to about 1915. The store specialized in ladies' fine underwear. The advertisement is for Warner Brothers Coraline Corsets, introduced in 1881. Coraline was a new stiffening agent that was much more flexible (and comfortable) than horn, reed, or whalebone, materials that were commonly used in corsets. 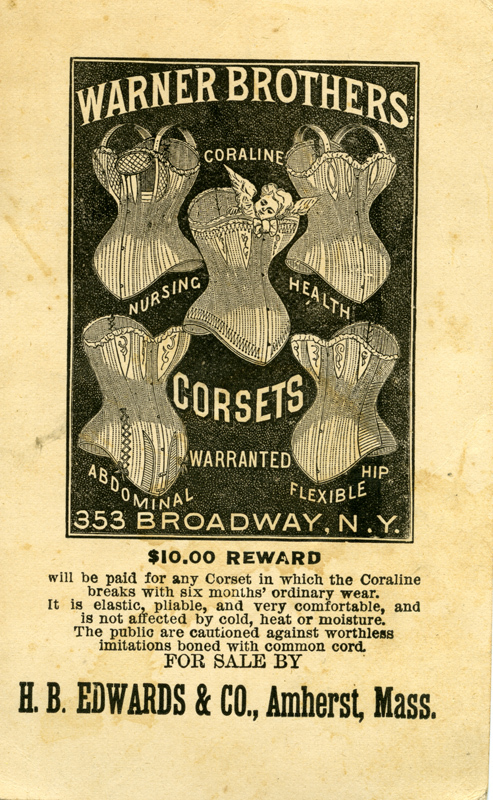 “Advertising card for Warner Brothers Coraline Corset,” Digital Amherst, accessed April 26, 2019, http://digitalamherst.org/items/show/929.